Stuck In The Buckosphere: A trip back to the family farm before the winter storm. A trip back to the family farm before the winter storm. Summer, Evan, and I went back to Darke County yesterday to see my grandma. 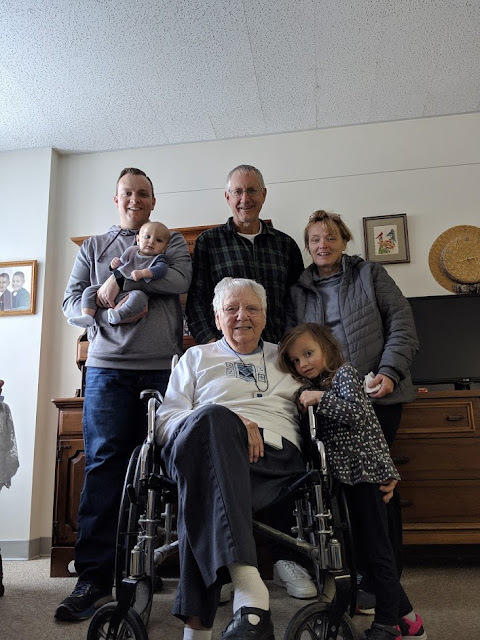 We had a nice time catching up and then we went back to my parent's house for some good food and more hanging out. We had to drive through some sleet, snow, and rain, but overall the roads were wet and only snow-covered when we were pulling into the driveway back in Columbus. The calm before the storm... Today we will have wet/icy spots on the roads early from the rain/snow on Thursday. Patchy fog this morning then cloudy skies and a few flurries possible today. Highs today getting into the mid 30s. 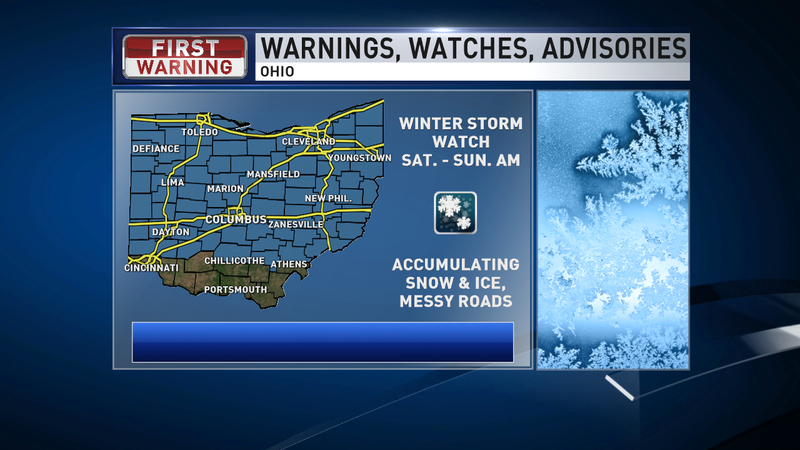 Cloudy overnight, but some light snow moving in for Northern Ohio. 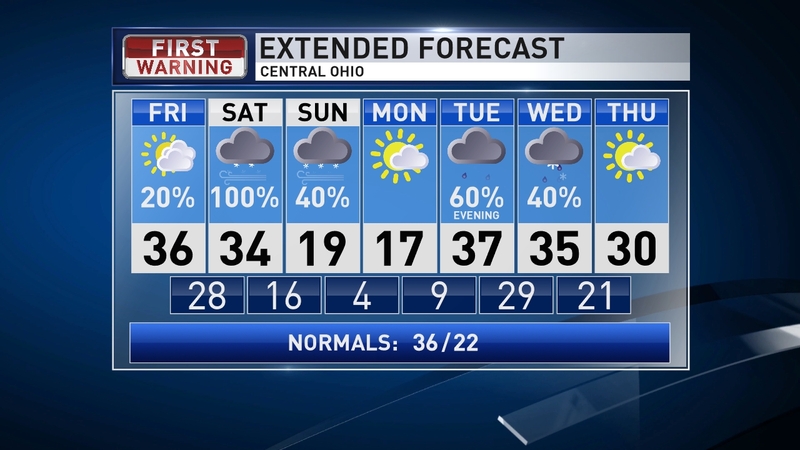 Saturday we start dry for most of Central Ohio with cloudy skies. Rain/ice/snow moves in by mid morning. Snow will stay north, rain stays south and the transition zone between the two will have periods of sleet and freezing rain. This transition zone will fluctuate some during the day as temps warm and then cool, but generally setting up along I-70 and just south. If we warm a degree or two then this line will shift north. "How much snow?" 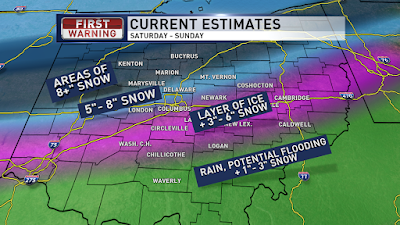 I figured you wanted to know... Where it stays all snow to the north 5-8" of snow likely with areas of 8+". The transition zone will see a layer of ice, up to 0.5" for the prolonged icing areas, and then 3-6" of snow depending on how long you see the ice. 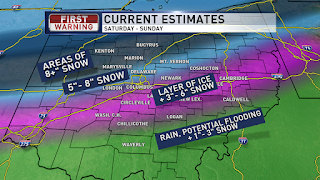 Southern Ohio will see rain most of the day and then transition to snow late with 1-3" of snow late. 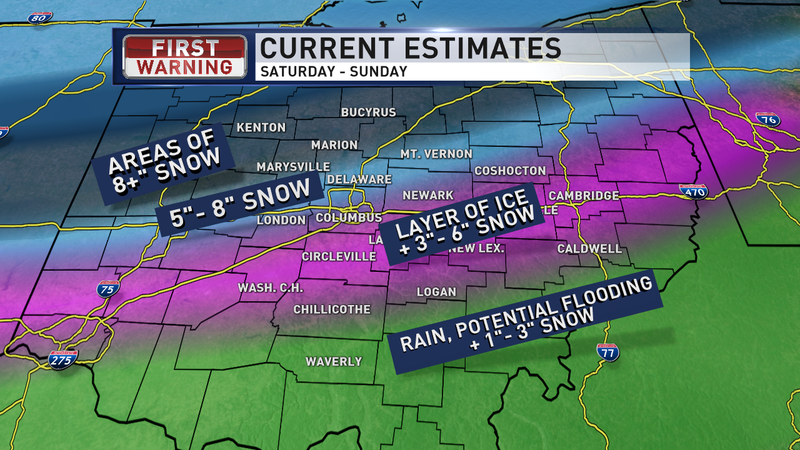 Southern Ohio could also see localized flooding with all the rain and melting snow/ice. 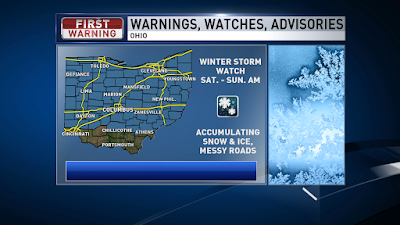 There is a Winter Storm Watch issued for the snow and ice and this will likely be upgraded to a warning later today. Most snow with this system will be done by daybreak on Sunday, but some lake effect snow possible, mainly north on Sunday. The big story Sunday will be digging out and then bracing for MUCH colder air. Wind chills will be below zero most of Sunday PM and Monday. Some wind chills could dip as low as -20 Monday morning. 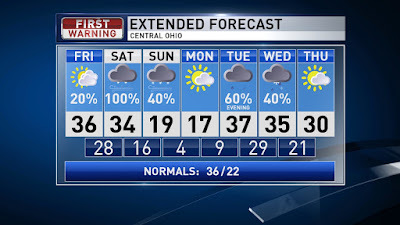 Partly cloudy and highs in the mid teens Monday. 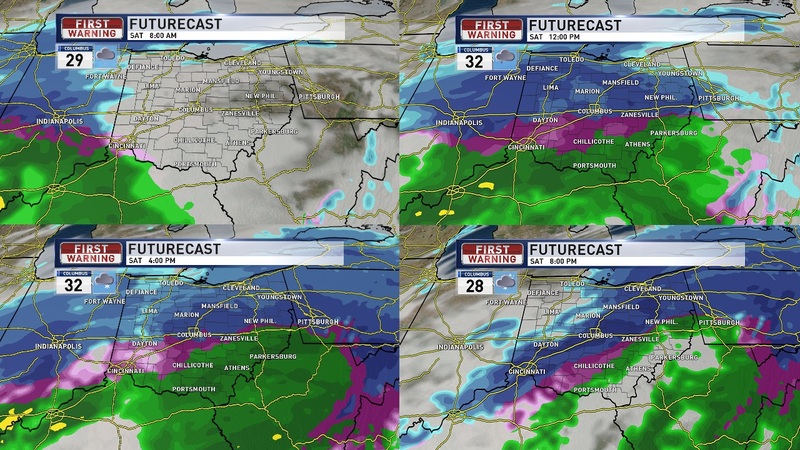 More rain moves in later Tuesday followed by colder air Tuesday night and we transition to snow by Wednesday morning. Have a good one!